As I have written about before, the MSPL provides our students with opportunities to give back to the community (see here and here). 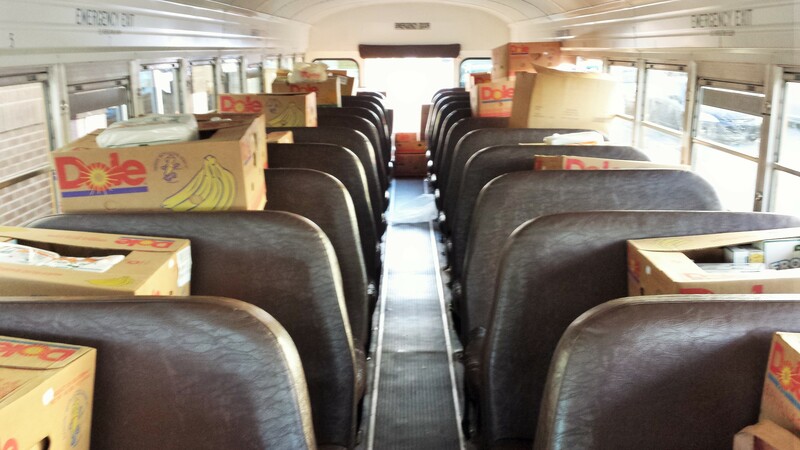 This weekend we were at Stuff-a-Bus, which is the major annual food drive for South Bend’s Center for the Homeless. 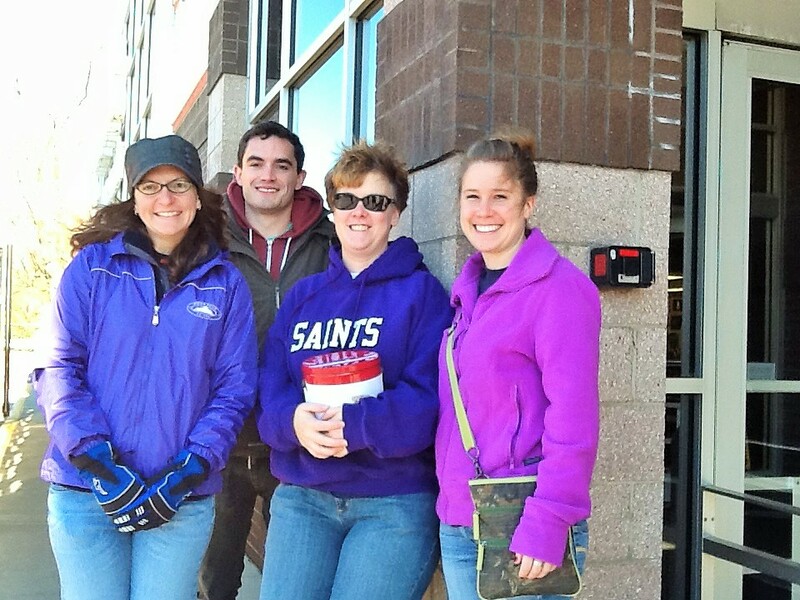 We were in three shifts, taking donations along with students from IU-South Bend. Luckily we got some great weather and LOTS of donations for such a great cause! Near the end of the day, the bus was indeed pretty well stuffed!! Notre Dame’s MS in Patent Law (MSPL) prepares scientists and engineers to help inventors get patents. A representative from the MSPL will be at Carnegie Mellon University on Tuesday, November 19, to give a presentation about careers in patent law. The panel discussion will begin at 4:30pm and run until 5:30pm in Rangos 3 at the University Center. Come learn about careers in patent law and the MSPL from Dr. Karen Deak (Director of the MS in Patent Law and a registered patent agent) and Lester Fortney, JD (Patent attorney in Pittsburgh at The Webb Law Firm). Pizza and drinks will be provided! Come learn about career options over dinner!! The MSPL is a one-academic-year program, at Notre Dame’s campus in South Bend, IN. We prepare our students for practice as patent agents, through a curriculum of hands-on, practical learning. Candidates must be Patent Bar eligible, which means they have a science or engineering background. Patent agents usually work at law firms and at R&D-based companies, where they help inventors protect their inventions by getting patents. Many of our graduates, like Kerisha Bowen, have gone on to work at law firms in major metropolitan areas. Our graduates are in high demand at law firms across the country. If the MS in Patent Law is an option for you, make sure your completed application* is submitted by December 15, 2013! All students who submit complete applications by that date, and who then join the MSPL’s 2014-2015 cohort, will receive a $2000 discount on their tuition! Also, if you like our Facebook page, or follow us on Twitter, we’ll waive the $75 application fee. We are also excited to announce that we are expanding our offerings and our locations to better serve more students! Starting in the 2014-2015 academic year, Notre Dame will offer a Certificate in Patent Prosecution at our Chicago campus. If you or someone you know is interested in learning more about the MSPL or the Chicago Certificate program, please contact the program Director, Prof. Karen Deak. Representatives from the MSPL will be at The Pennsylvania State University on Nov. 15, 2013. Come learn about careers in patent law and the MSPL at an informal Lunch-and-Learn in 517 Thomas Building, 12:15-1pm. Last week was a rough week for the MSPL. 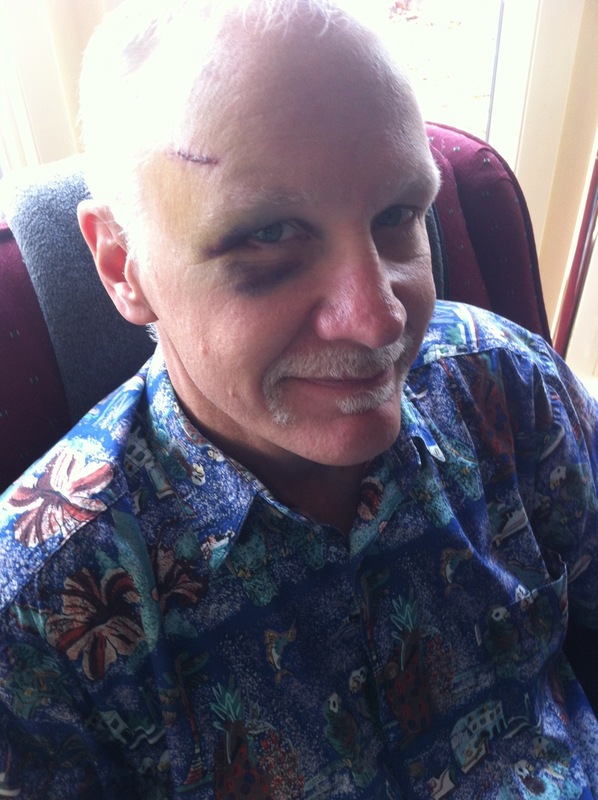 Mike Wack (PATL 60101- Patent Prosecution Law) got hit by a car on Thursday! Note that I didn’t say “Mike’s car got hit by a car,” … but rather, “Mike got hit by a car.” He’s doing well, but obviously we’re needing to make some adjustments to our teaching schedule. I’m taking Mike’s class on Monday, and will be lecturing on the changes to 35 USC 102 and 103 under the America Invents Act. I actually really like this topic, so, under the circumstances, I am happy to step in (although of course I’d rather that Mike hadn’t been hit by a car!). Additionally, Hal Milton (PATL 60201- Patent Application Drafting) had to have surgery on Friday. He refers to it as “preventative maintenance,” but any kind of surgery that has to do with blood flow and heart function seems serious enough to me. I hope he’s recovering well! On a happier note, we’ll be holding an Open House at our Chicago center this Thursday, and hosting Mark Dighton from PLI on Friday. Mark is visiting campus because, every year, we provide our MSPL students with a patent bar exam review course. PLI is the vendor we’ve been using for these courses; last year we had at least four students pass the exam on their first try!